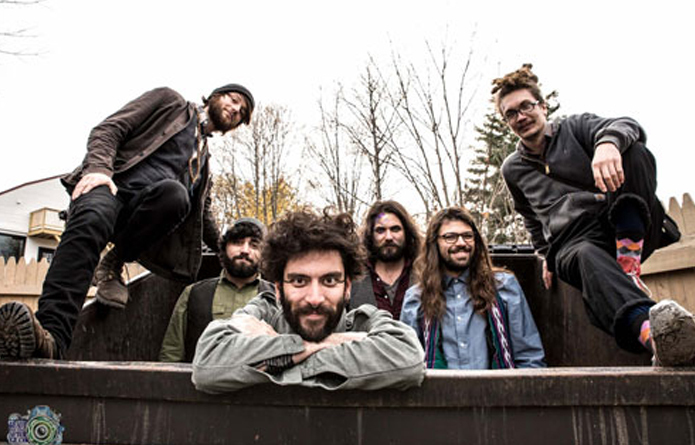 Folkfaces is a group out of Buffalo, NY that plays a rowdy blend of rootsy Folk, Jazz, and Blues – fusing classic forms with contemporary feelings and irresistibly danceable energy. Their inspiration comes from the mountains of Appalachia to the deltas of Mississippi, the swamps of Louisiana to the Concrete Jungle of the Rustbelt. Specializing in merriment and sticking it to the system, Folkfaces make the crowd dance and the hierarchy shatter. Smooth Hound Smith is a foot stompin’ American roots duo comprised of “one-man-band” Zack Smith (guitars/vocals/foot drums/harmonicas/banjo) and Caitlin Doyle (vocals/percussion). Established in 2012, and based in East Nashville, TN, they record and perform a varied and unique style of folky, garage-infused rhythm & blues. Using primal foot percussion, complex, fuzzed-out, finger-picked guitar patterns, warbled harmonicas, tasty harmonies and A LOT of tambourine, they are able to create something rugged and visceral- a modern interpretation of early blues, soul, and rock ‘n’ roll music that harkens back to the traditions of hazy front porch folk songs as well as raucous back-alley juke joints. The duo has traveled over 150,000 road miles, playing over 800 shows across America, Europe, and Canada, all in the last five years. In addition to their own headlining shows, they have toured as support for bands such as the Dixie Chicks (25 dates in the US and Canada in 2016/2017), The Record Company, and Jamestown Revival. Their eponymous debut album garnered attention from media outlets such as Nashville’s independent radio, WRLT Lightning 100, as well as publications like American Songwriter and RELIX Magazine. They were also selected over thousands of other bands to perform at the 2015 Bonnaroo Music & Arts Festival in Manchester, TN, headlined by Billy Joel, Mumford & Sons, Ben Harper & The Innocent Criminals, and more. In addition, the music of Smooth Hound Smith has been featured on CMT’s Nashville, MTV’s The Real World and the Esquire Network. Smooth Hound Smith’s second full-length album, Sweet Tennessee Honey, was released in 2016, and features appearances by Natalie Maines (Dixie Chicks), Sarah Jarosz, and Jano Rix (The Wood Brothers). They continue to tour heavily while working on new material for a third full-length album, expected to be released in 2018.